We hope you are enjoying the sermon series for Advent called "Waiting" and are getting ready to remember/celebrate the birth of Jesus! Our reading plan is starting to circulate through the Christmas story while continuing to read through the Pentateuch (the first 5 books of the Bible, or law). We are currently in Exodus and you can expect to continue through Leviticus, Numbers and Deuteronomy. There was a post on this in September - read it here. In the meantime, you may have noticed an element to Advent that seems different than expected - a focus on His second coming. While Christmas is definitely about His birth, traditional Advent calendars focus both on His coming and His return! You can read more on this here. I found this article very timely as we found this to be true in our research as we prepared these Advent messages. So, may you be full of hope, preparation, joy and love as we prepare to light the Christ candle on December 24. Also, may you share this message with your family and friends! 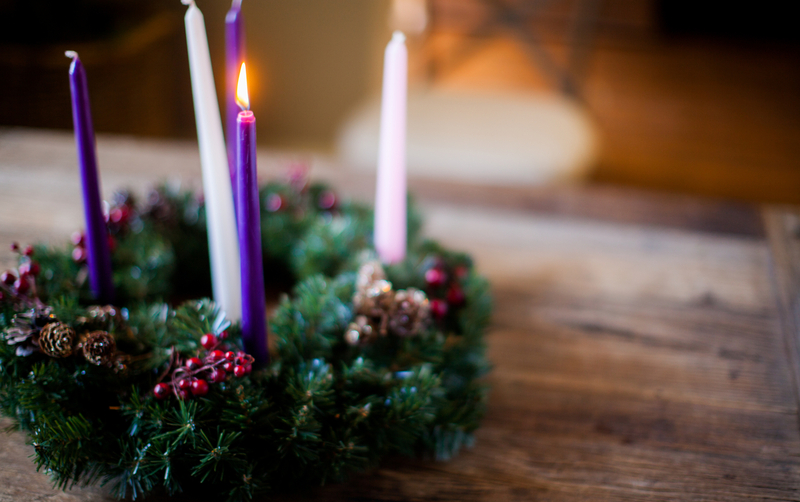 Finally, here's a link to a family devotional that you may enjoy this Advent! It starts tomorrow, if you want to jump in and study with your household this December!